Are you finding a way to make your network Connection more stable and faster when browsing and downloading the internet? If yes. Let me quickly introduce this Amazing app called Connection Stabilizer to you if you Don't Know Already. 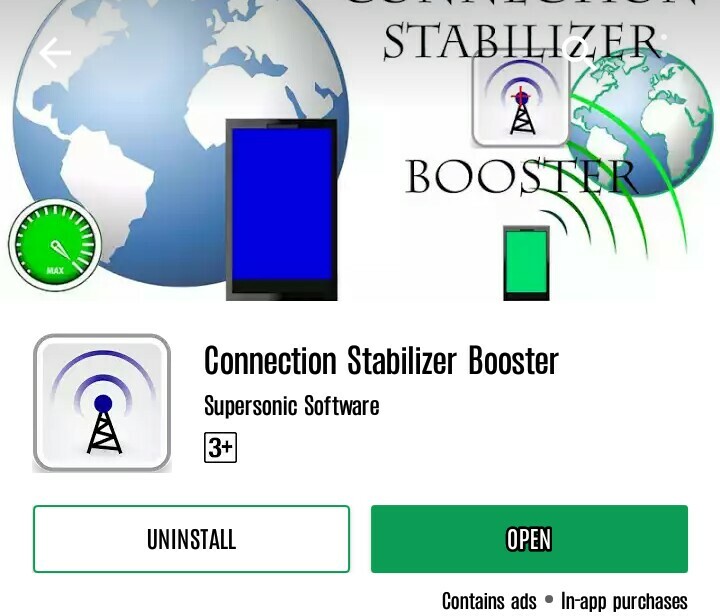 Connection Stabilizer booster is an Android app that allows and help you to boost your network speed performance, this app also helps you if You have an issue with your cellular data connection not stable or disconnects always. Connection Stabilizer Booster Can reset and detect frozen connections, if you are facing any other problem with your connection, like no data being transmitted even when connected, you can just activate the Active Keep Alive with default settings In the App. Connection Stabilizer Works on all rooted and Non-Rooted Device. Immediately you Click the OK Button, Connection Stabilizer will get Connected once Your data is Turn On, now Click on Keep Alive Button to Make the Connection Stable.